from a limited identity to unlimited space. 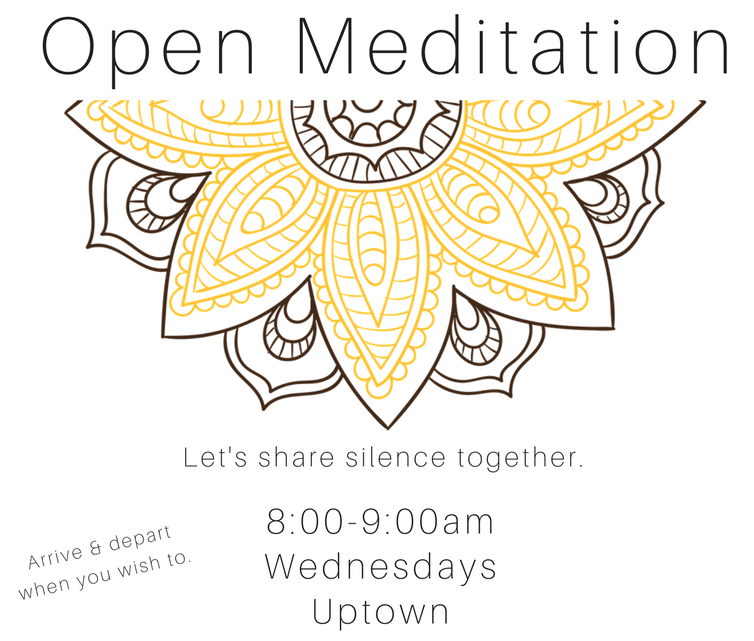 We are pleased to offer up our Uptown space to sit silently together in meditation. We will observe silence between the hours of 8:00 & 9:00, but don’t feel like you have to stay for the full duration. Leigha will ring a bell at 8:30 and then again at 9:00am. Arrive between 8 and 8:30am. A bell will ring at 8:30. A bell will ring twice at 9:00 to indicate to closing. You will find a prompt at the desk. After 9 o’clock, feel free to ask questions or share insights! Meditation with sound and yoga is one universal path to Self Realization, accessible to anyone, and appropriate for people of any religion or spiritual aspiration. All life is relationship, and in this experience we will explore the dynamics between the practice of Yin Yoga and the therapeutic Sound Bath. By uniting our emotional, spiritual and physical bodies in a meditative way, these two up and coming modalities will help you come back to who you truly are: a vibrational being, in tune. The practice of Yin Yoga is a slow and deep. Based on the principles of stillness, it encourages students to listen to their body’s individual needs. A yin practice guides students past the muscle and into the connective tissue, joints and areas of tension that are being held in deep layers of the body. Students will learn an intuitive approach to working with the body that cultivates listening, facilitates the release of long held tensions and offers genuine relaxation. Simple postures on the floor will be practiced to relax your muscles in order to stimulate the ligaments, joints and layers of fascia. No yoga experience necessary! Sound has been utilized in various cultures for thousands of years as a tool for healing. Whether through the use of mantras, medicine melodies or the use of interval and frequency, these various techniques all have the same intention: to move us from a place of imbalance to a place of balance. Each human being is in essence a vibration. The molecule sings, the heart of the atom is tone, and the human has a sound body which comes in and out of tune. Enabling the soul to remember its true divine self, its spirit self, we can re-merge with all that is. Finding connection and balance with all that is, we find ourselves in wholeness and perfect health. Will Leblanc began his study of yoga after 15 years of professional classical ballet dancing to heal and rehabilitate. He began his study of Sivananda and Kripalu yoga in 1990 and did a 500 hour YTT at the Bikram Yoga College of India in 2003. He was the owner/director of Bikram Yoga Amherst for several years. 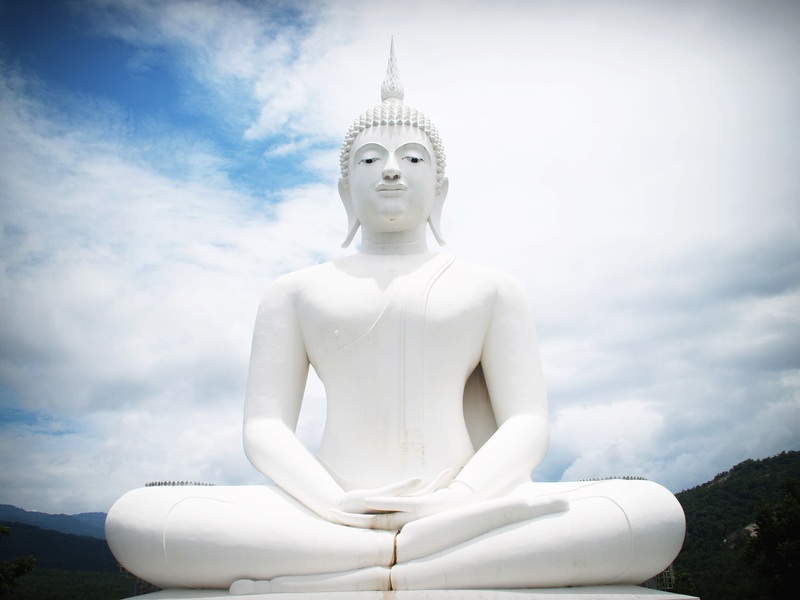 In 2005 he “fell in love”… with Yin Yoga and has been practicing and teaching with true devotion ever since. He completed a 100 hour YTT with Paul Grilley and a 60 hour YTT with Bernie Clarke. He recently had the opportunity to study the Science & Mysticism of connective tissue with Deane Juhan, author of Job’s Body. Will teaches at Euphoria Yoga and Catskills Yoga House. Lea Garnier is a certified yoga teacher trained in the Desikachar lineage and specializes in teaching yin and restorative yoga workshops which integrate the therapeutics of sacred healing sound with a variety of different sound tools and voice. She has worked as a Craniosacral therapist for over 15 years and has a private practice at Sage Academy of Sound Energy in Woodstock, NY, a center she directs and co-founded in 2007. 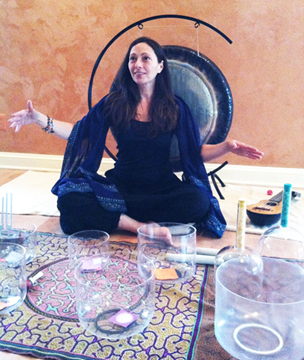 She also organizes ongoing sound healing retreats & trainings which cater to an international audience of practitioners working in the healing arts. Beth Ylvisaker became a partner to Sage in 2010, and co-founded the first east coast Annual SoundHealing Retreat Intensive at Menla, NY. She is a senior teacher and facilitator of all the Sage Academy’s events and trainings. She has studied sound extensively with Jill Purce, Accutonics as well as all of the Sage Academy’s esteemed master teachers. She is an astrology student of Terran Loveware, Mark Borax and Elias Lonsdale. She applies mapping astrology through the mandala of the gong, combining stars, sound and is fulfilling a calling to bring healing to individuals and group settings.